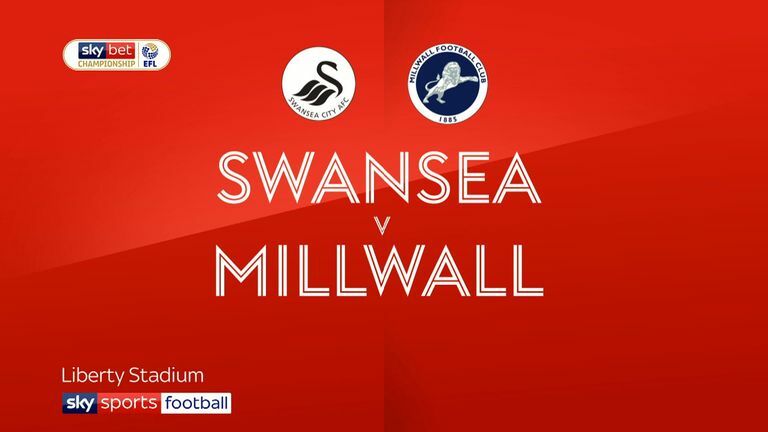 Highlights of the Sky Bet Championship clash between Swansea and Millwall. Swansea moved up to 11th in the Championship with a hard-fought 1-0 victory over Millwall. George Byers' first senior goal was enough to get the hosts back to winning ways following last weekend's defeat at Bristol City. 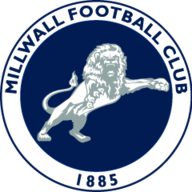 They remain six points behind the playoff places, while Millwall's ninth away defeat of the season keeps them just two places and four points away from the relegation zone. The day began with a protest from the Swansea supporters against the club's American owners following their transfer window exodus and the subsequent resignation of chairman Huw Jenkins after 17 years at the helm. Jefferson Montero, Wilfried Bony and Tom Carroll all departed, and it could have been worse if deadline-day deals to see Leroy Fer and Dan James exit the club had gone through. Wales international James returned to the side for the first time since his botched transfer to Leeds, but there was no place for in-form striker Oli McBurnie who had been suffering with illness. Another new face in the starting XI was Byers, who almost gave the Swans an early lead when he received a cut-back from Declan John on the edge of the box, but Jordan Archer was equal to his effort. The Lions goalkeeper sprang into action again to keep the scores level after a spell of pressure from Neil Harris' side. Shaun Williams fouled Connor Roberts after a Swansea breakaway to allow Matt Grimes to curl a free-kick towards the top corner, but Archer leapt across the goal to paw it away. But Graham Potter's men got their noses in front in the 43rd minute thanks to Byers' first senior goal. The midfielder had a right-footed shot blocked after pouncing on a loose ball, but he made no mistake with his left to give his side a 1-0 lead. Millwall came out in search of a crucial equaliser in their bid to move clear of the relegation places. First Mahlon Romeo's low drive was saved at the near post by Erwin Mulder, before Jed Wallace sent a fierce volley just over the crossbar. Millwall midfielder Williams was sacrificed for Steve Morison as Harris went in search of goals. 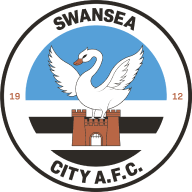 But the substitution almost had the opposite effect as Bersant Celina cut through the defence with a smart one-two with Wayne Routledge and lifted the ball over Archer, only to see his chip cleared off the line by Shane Ferguson. Swansea were living dangerously in the dying embers of the game, and Millwall almost grabbed a late equaliser when captain Shaun Hutchinson flicked a corner towards the back post, but Jake Cooper arrived a fraction late and failed to poke it into the net. Graham Potter: "When you look at the age of the group and the age of a lot of the players and where they are in their careers, to play against a team like Millwall who do really well at what they do, and make it really difficult to play against, I thought the first half was good without being amazing in terms of chances. "To have that responsibility, to be the home team that has to find the answers against a team that's got good players and can beat you on their day no problem, from that perspective it's really pleasing." Neil Harris: "I would never expect my team to concede from a set-play at Swansea, I have to be frank about it. "I'm disappointed with the players in that respect, it should be us causing the problems at the other end."